All the universities have less experience than my beard. The down on my neck is more learned than my antagonists. You must follow my footsteps. I shall not go in yours. Not one of your professors will find a cover so well hidden that the dogs will come and lift them by the legs and defile them. I shall become a monarch, mine will be the monarchy which I shall rule to make you gird up your loins! 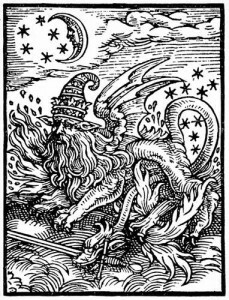 Every historian who wants to prove science emerged neatly as a reaction against medieval magic and mysticism, will at some point be faced with the paradox that is Paracelsus. One part proto-renaissance physician, one part medieval magus, this so-called “Luther of Medicine” harrowingly straddled the light and dark worlds of 16th century Europe. If single-handedly, he crossed the Rubicon into modern medicine, chemistry, toxicology, and psychiatry, he also bore the full force of their birth pangs. Scorned by the establishment in his own time, and obscured by history since, Paracelsus is never quite where you look for him. But root him out, and his rich hoard of alchemical treasures is yours for the taking. For science, as anyone who looks deep into Paracelsus’ eye will see, is at heart a form of magick! So…um…anyways. Humorism! If you fell ill in medieval Europe your family might blame a vengeful God, but your friendly neighborhood doctor would almost certainly attribute it to a natural imbalance of bodily humors. The physician was, in these days, a scholar. His medical secrets lay hidden in the fading tomes of high-mountain monastic libraries5. Brutish surgeries and dissections were left to menial orderlies6. Never would a doctor deign to cut into a dead body! As the picture below shows, doctors preferred to direct the proceedings from high upon their pedestal, textbook in hand,6 pointy finger at the ready. Portrait of a medieval dissection or "post-mortem"
Paracelsus didn’t cotton to this ivory cloister elitism. In fact, he would spend the better part of his life loudly and crazily raging against the medieval medical establishment. Much of the “experience” the man so mightily prized came out of aimless wanderings along the fringe. Trading secrets with Mongol shamans in Russia, gleaning “magical instructions” from physicians in Alexandria, pilfering hidden treasures in the High Arctic8—what would melt a lesser man’s brain down useless goo, Paracelsus forged into an entirely new kind of medicine, based on curiosity and experience. Paracelsianism, as his system came to be called, took the doctor out of the library and threw him into the real world with such force the reverberations are still being felt. His unbounded thirst for knowledge and his hatred for stultifying theoretical dogma set thinkers on the path to modern science. It also, more subtly, opened the door to new breed of mad scientist, driven not by logic, but by sheer, unbridled faith in the absurd. So much of what is mad about science in the past 500 years grew out of the mind of this old fool. I would argue he could accurately be thought of as the Galileo of our small sect. Over the next couple weeks, we’ll look at some of Paracelsus’ strangest ideas and examine how they helped shape the course of mad science over centuries. 1. Klawans, H.L. (1982). Medicine of History: From Paracelsus to Freud. Raven Press. 2. Demaitre, L. (1975). 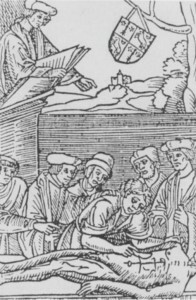 Theory and Practice in Medical Education at the University of Montpellier in the Thirteenth and Fourteenth Centuries. Journal of the History of Medicine, 30(2), 103-123. 3. Smoller, A.L. (2000). Skin pathology and medical prognosis in medieval Europe: the secrets of Hippocrates. American Journal of Dermopathology, 22(6), 550-6. 4. Viale, G.L. (2003). Return to Galen. Neurosurgery, 53(1), 205-210. 5. Goodrich, J.T. (2004). 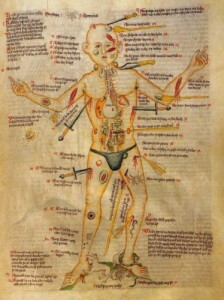 History of spine surgery in the ancient and medieval worlds. Neurosurgical Focus, 16(1), E2. 6. Clodius, L. (1984). Paracelsus Theophrastus von Hohenheim (1493-1541) and plastic surgeons today. History of Plastic Surgery, 17, 57-63. 7. Davis, T.L. (1928). Boerhaave’s account of Paracelsus and Van Helmont. Journal of Chemical Education, 5(6), 671-681. 8. Ball, P. (2006). 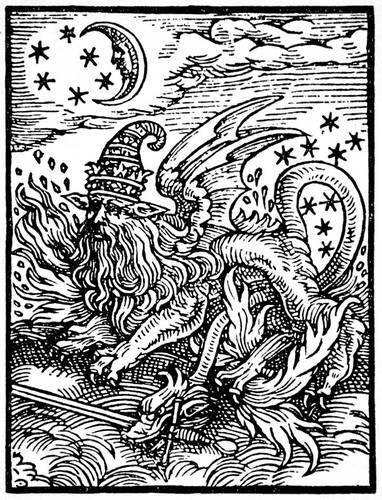 The Devil’s Doctor: Paracelsus and the World of Renaissance and Magic. New York: Farrar, Straus and Giroux. 9. Rattansi, P. and Pagel, W. (1964). Vesalius and Paracelsus. Medical History, 8(4), 309-326. 10. Borzelleca, J.F. (2000). 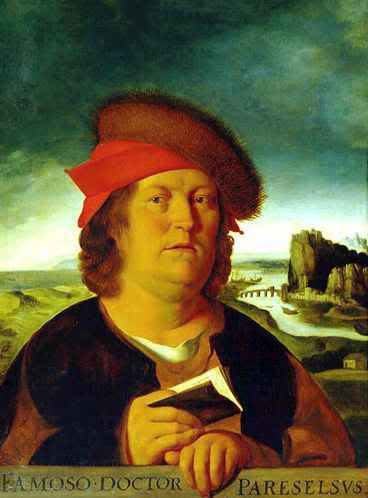 Paracelsus: herald of modern toxicology. Toxicological Sciences, 53, 2-4. 11. 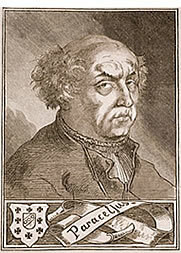 Gravenstein, J.S. (1965). 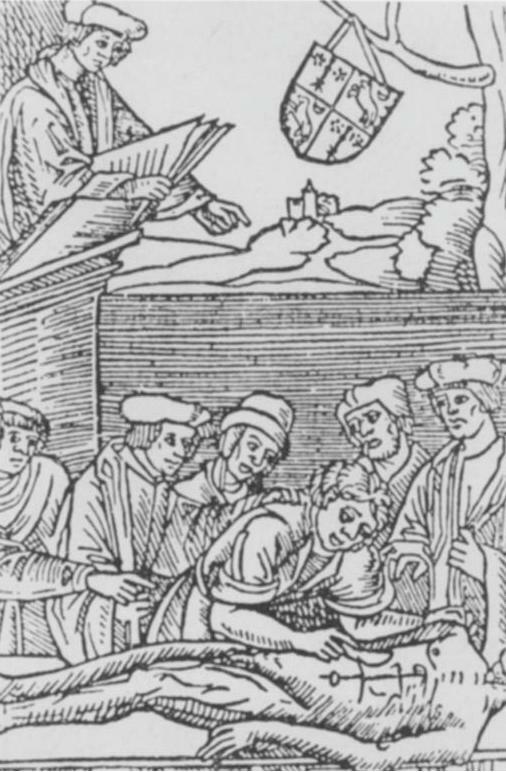 Paracelsus and his contributions to anesthesia. Anesthesiology, 26(6), 805-811. 12. Lund F.B. (1931). Paracelsus. Annals of Surgery, 94(4), 548-561. 13. Williams, G.S., Gunnoe, C.D., Jr. (2002) Paracelsian moments: science, medicine, & astrology in early modern Europe. Kirksville, MO: Truman State University Press. 14. Webster, C. (2002). Paracelsus, paracelsianism, and the secularization of the worldview. Science in Context, 15(1), 9-27. This entry was posted in Alchemists, Mad Doctors on December 24, 2010 by Max Hartshorn.